This tour is designed to enrich your knowledge, understanding and appreciation of Aboriginal culture on our island. This easily accessible tour begins in Goompi (Dunwich), a place which tells the ancient stories of how the Aboriginal People have lived on Minjerribah land for at least 25,000 years. Accompanied by your Quandamooka guide, these sacred, untold stories will come alive. The tour includes a guided walk around the rocky headland on the shoreline of the bay, identifying bush tucker plants and learning about medicinal bush plants, trees and ochre. 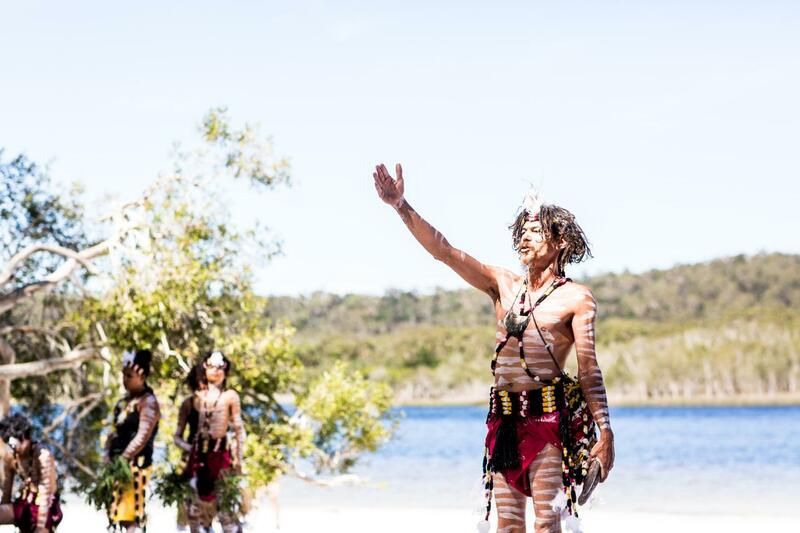 Your guide will also share traditional story telling from ancient times about the creation of Quandamooka (Moreton Bay).